Agreement signed between NCC and VCC - Integration Through Media ....! KATHMANDU: An agreement has been signed between Nepal Chamber of Commerce and Vietnam Chamber of Commerce and Industries today in Vietnam. NCC chair Rajesh Kaji Shrestha and his Vietnamese counterpart Dr. Vu Tien Lo signed the agreement. A 15-member delegation led by NCC chair Rajesh Kaji Shrestha had reached Vietnam yesterday to take part in an international trade fair. According to CEO of the NCC, Kailash Kumar Bajimay, agreement has been reached to exchange information to promote foreign trade, investment and participate in such Expo among others. Nepal is going to take part in Vietnam International Trade Fair – VIETNAMEXPO to be held under the auspices of the government of Vietnam and collaboration of Ministry of Industry and Trade (Department of Trade Promotion), relevant ministries, sectors, localities, trade promotion organizations and Vinexad Company. 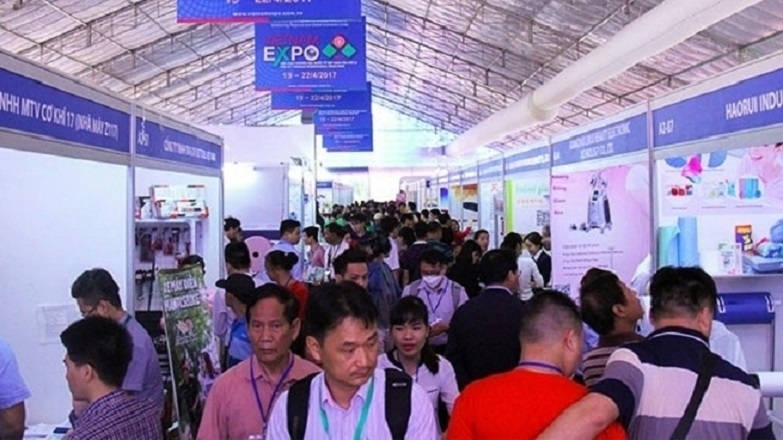 It is stated that the VIETNAMEXPO has become one of the largest and most important trade promotion activities of the sector, bringing in economic values, realistic opportunities for local enterprises to further exports, expand domestic market, contributing to realization of the Government’s commitment to the world economic integration.